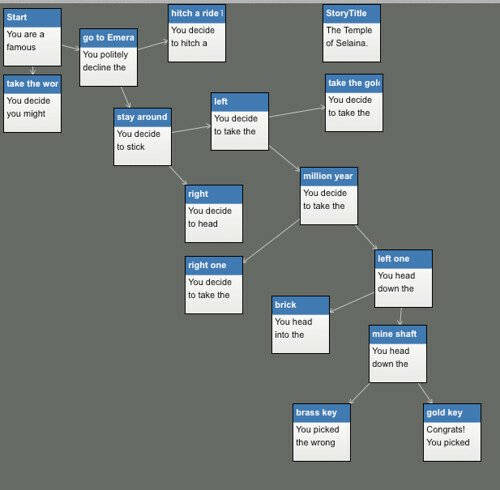 The image above is a screenshot of the main interface of Twine, showing where stories branch off and how they become a tree of ideas. I really love that aspect of Twine — it gives a very visual map to the stories as students are writing. Read The Temple of Selaina by Sarah C.
This entry was posted in Interactive Fiction, my classroom. Bookmark the permalink. We’ve been using Inklewriter for a similar project, and the kids are loving it. Here’s something recently published.